There wasn't a lot of scouting data out there on Trexler when he was drafted (signed for $1,000 in the 17th round), but that changed quickly once scouts got a good look at him in the minors. Writers from both Baseball America and Fangraphs gave surprised and impressed reviews of Trexler's stuff, reporting how much it had improved with some mechanical tweaks. His fastball jumped from 89-91 to 92-96, with his curve and just-added change-up both looking above average. That's a very solid package to start a pro career with even for a higher round pick, let alone a 17th rounder. His results in 2014 were strong, striking out more than a batter an inning while maintaining good control (2.6 BB/9) and inducing a ton of ground balls (a whopping 7.67 GB:FB ratio) in 30.2 innings of relief work across both rookie affiliates. 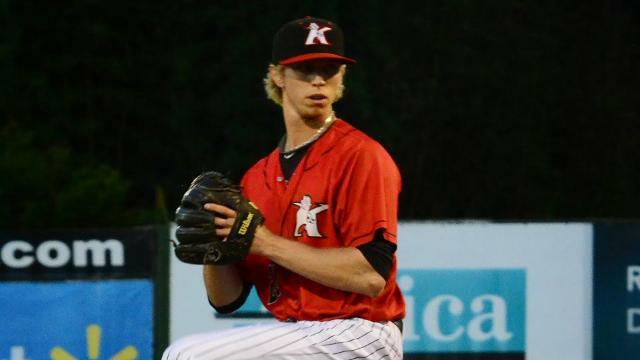 It seemed likely that Trexler would go back to starting, and one report had him starting 2015 in Winston-Salem - but as it turned out he went to Kannapolis' bullpen. There he struck out plenty of batters (76 in 69.1 IP), but also walked quite a few (37) and his core results were nothing to write home about (1.51 WHIP). It's hard to know what to make of Trexler, who goes into 2016 as a 25-year old having just one season as a reliever in A-ball. We didn't get an in-game look at him during the season and it's not clear if he still has those improved pitches from 2014. When we interviewed him in May of 2015, we asked if there was any plan for him to go back to starting, and he indicated there wasn't one that he knew of. 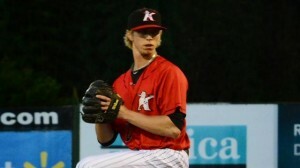 The slender righty could be double-promoted to AA, but more likely he's with Winston-Salem to begin 2016.